From kindergarten to high school, I attended a Waldorf/Rudolf Steiner school, which emphasized "the role of imagination in learning, striving to integrate holistically the intellectual, practical, and artistic development of pupils." I enjoyed designing and building furniture as much as I enjoyed dancing and playing musical instruments. I excelled in both natural (Biology, Chemistry, Physics) and social sciences (Psychology, History, Anthropology, Sociology). After graduation, the school leadership asked me to teach a Practical Math course for high school students. For a semester, I studied Math Education at the Austrian College of Education and interned as a Math Teacher at a public middle school. I obtained a bachelor's and master's in Elementary Music and Dance Education from the Mozarteum University of Salzburg and spent one year at Escola Superior de Música de Catalunya in Barcelona as an exchange student. In a public preparatory and elementary school in Catalonia, I taught an extra-curricular course developing a curriculum that used art, music, dance, and games to engage pupils holistically, drawing on principles I learned from my early Waldorf/Steiner upbringing and university experience. At the Carl Orff Institute in Austria, I taught a summer course in Percussion Education to music educators from over a dozen countries. At the Danube International Baccalaureate School, I taught Percussion to elementary school students. Near Innsbruck Austria, I taught skiing at a popular ski resort. In Ibiza, I taught English and Music at a youth summer camp. This winter, I have been freelancing as a violin teacher in New York City. Zoltan Kodaly, Émile Jaques-Dalcroze, Edwin Gordon, and Carl Orff. For teaching violin, while I employ elements of the Suzuki Method, Strictly Strings, and Metodo Nicolo Violin to instill discipline and establish ,precision, I set up a lively, interdisciplinary, and creative environment by incorporating calisthenics, games, dancing, singing, and storytelling to encourage versatility and innovation. I am a NYC-based humanitarian filmmaker, dancer, musician, carpenter and teacher. I speak English, German, Catalan, and I can get by in Spanish. A dual Austrian/American citizen, I am authorized to work in the United States. From kindergarten to high school, I attended a Rudolph Steiner school, which laid my foundations in art, music and carpentry. In high school, I managed the school theater lighting system and wrote a thesis on stage lighting. After finishing an apprenticeship in carpentry and becoming a certified carpentry journeyman, I worked as a trade showroom carpenter in Berlin and Vienna. For my mandatory conscription in Austria, I served as an ambulance paramedic. I obtained a bachelor's and a master's in music and dance performance and education at leading universities in Salzburg and Barcelona. From 2008 to 2011, I worked for the University Mozarteum Salzburg, producing, light-engineering, shooting and editing final performances of graduating students using professional studio camera equipment and software. After university, with a video production company, I did video content consulting and color grading for small businesses and organizations, show reels for actors, and music videos for musicians. Last winter, I taught downhill skiing in Austria at a popular resort near the Swiss border. Since 2007, I've documented various events, such as an international summer course for music and dance educators in Czech Republic, a children's English language and Art camp in Ibiza Spain, and a national archery competition in Austria. Recently in New York, I assisted as G&E swing for a Studio 4 horror production and volunteered as a videographer for DOC NYC, America's largest documentary film festival. I’m Pirmin Proier, a Master of Physics, a former scientist and teacher, who leads the department of sales and communications of an Austrian startup called Bike Citizens, which offers the general public high-tech urban cycling products via an app. I met Maximilian while we were both playing in the symphony orchestra of the Waldorf/Steiner school in Linz Austria. 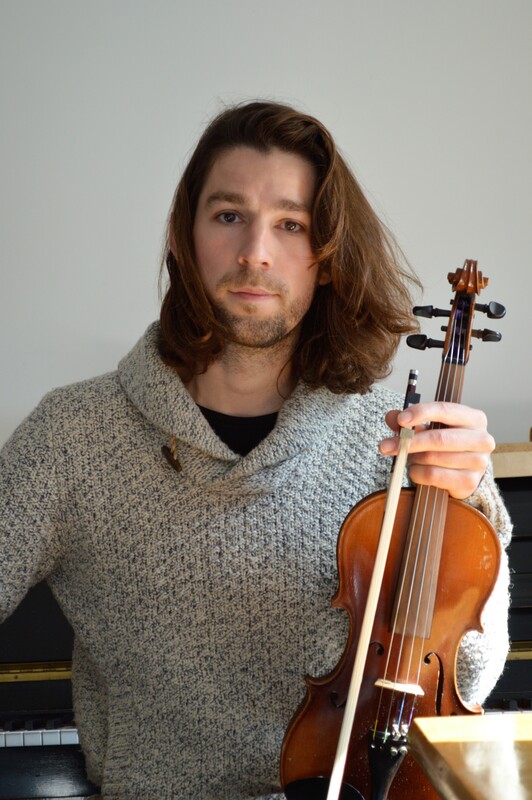 Maximilian started out as a violinist and changed to leading the violas after a few weeks. Whatever you put in Maximilian’s hands, he makes good music out of it. He is virtuoso in violin, viola, piano and percussion, plus he sings and plays the guitar well. Maximilian is a complete musician. Maximilian and I teamed up as a showroom carpenter at a trade show in Munich. He pulled the whole team with his vibrant character, positive approach and exceptional creativity. Five years ago, we were both selected by our former physics and mathematics teacher to teach his students in land surveying. In the springtime of the last two years, Maximilian organized a music festival by an Austrian alpine lake. His networking skills in the European art scene became immediately obvious. He successfully brought over dozens of professional bands not only from Austria, but also from England and South America. Maximilian is a person with world-class competencies in music, arts and education with extensive experience with project and event management. His versatility is without competition. Also he is a wonderful friend and an inspiration for me and most people he meets and works with. I have gotten to know Maximilian, who is fluent in several languages and an experienced and certified carpenter and music and language teacher, as an extremely positive and patient individual. I am convinced that his expertise, in addition to his creative eye and mind and thoughtful social outlook and approach, make him into an exceptional teacher of a wide range of subject matters, as well as a skilled and reliable woodwork and film making specialist. I would, therefore, highly recommend Maximilian for any of the services that he offers.